The fact that Android is the world’s most popular mobile operating system is no secret at all, as it powers hundreds of millions of mobile devices, across 190 countries around the world. People are enjoying its features on smartphones and tablets daily, while the Google Play store is a never ending source of apps, games, music, movies, books and many more! And sometimes, it’s a shame that you can’t enjoy all the stuff you can find there on a bigger display… Or can you?! Fortunately, you’re not the only one who wants to know how to run Android apps on Windows PC. A lot of people who wanted to do this some time ago saw that there wasn’t any reliable solution for doing this, so they started figuring it out. Below you can find the solutions they found. Or, simply put, all the methods you can use in order to run Android apps on Windows. 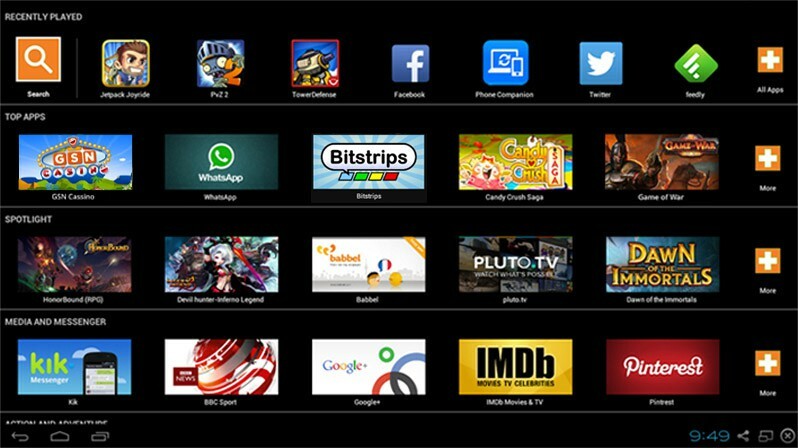 Of course, our first choice is BlueStacks, one of the most popular solutions for emulating Android, known from our previous guides on how to play Clash of Clans or Summoners War on PC. It’s perfect for anybody who solely wants to run Android apps on Windows, but if you want to enjoy the full experience offered by Google’s mobile operating system, you should look for something more complex. BlueStacks is available for free and, in order to use it, you need to sign in with your Google account, which are some of its biggest pluses. On the other side, it might crash sometimes and the apps can look pixelated, depending on your display’s resolution. 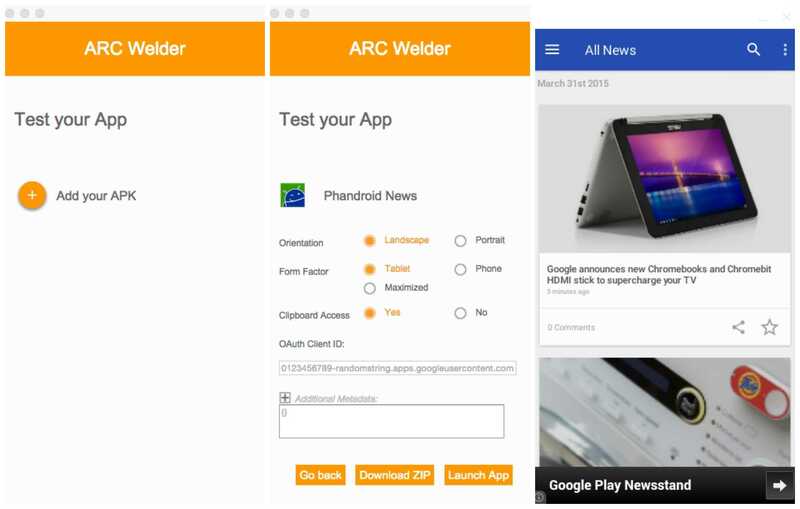 Despite the popularity of BlueStacks, there are a lot of people claiming that ARC Welder for Chrome is the best tool you should use to run Android apps on Windows. Actually, tool isn’t correct, since this is simply a Google Chrome extension, meaning that you can use it on any other operating system that supports the browser, like Chrome OS (d’ooh) or OS X.
ARC stands for App Runtime for Chrome and the install process is very simple, since everything you need to do is head over to the Chrome Web Store and install the extension. You can find it here. In order to actually run apps, you will need the APK file, which needs to be sideloaded into ARC Welder. You can get the APK from backing up an app on an Android device or even download it from various website. Still, be very careful where you download it from, as there are a lot of suspicious sites offering this type of files! APK Mirror is always a great choice, for example. Open ARC Welder and simply point it at the APK file, then choose what app you want to render and the orientation mode. Don’t expect every app to run properly, though, since the extension doesn’t have native support for Google Play Services. On the other side, being based on Android 4.4 means that a lot of standalone apps are compatible, but, by all means, don’t try using the camera in apps that would allow you to do it on a phone, as they will immediately crash. Another decent solution makes it to our top, being a great choice for anybody who wants to run Android apps on Windows 7, Windows 8, 8.1 or Windows 10. 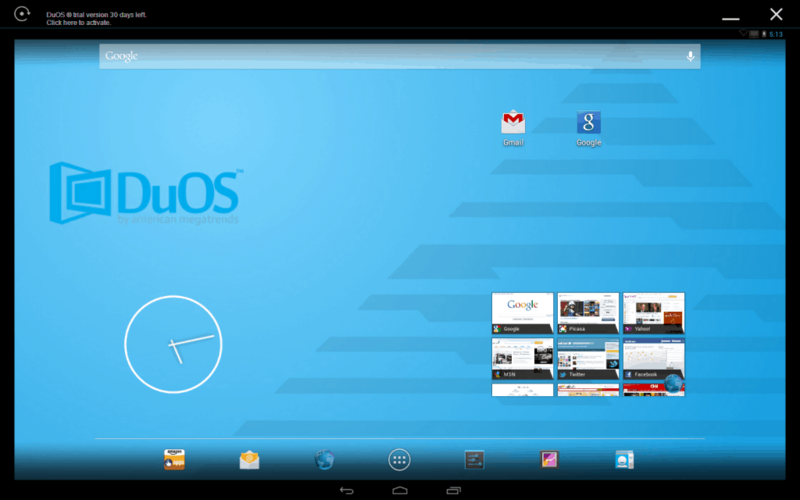 Unlike other options, which are using dual-boot, AMIDuOS is relying on virtualization technology, so you can easily switch between Windows and Android apps without having to stop what you’re doing in one OS to get to the other. What we really like about AMIDuOS is that it provides a complete Android experience, including features like multitouch or support for pinch and zoom, alongside GPS functionality. As for the apps it can run, since this is what you’re interested in, it comes with pre-installed stock Android apps and the Amazon App Store. You can also install Google Play Store, following this tutorial, or, if you want to go deeper into Android, there’s also the possibility to enable root mode. The biggest minus of AMIDuOS is that it’s available for free for just 30 days. 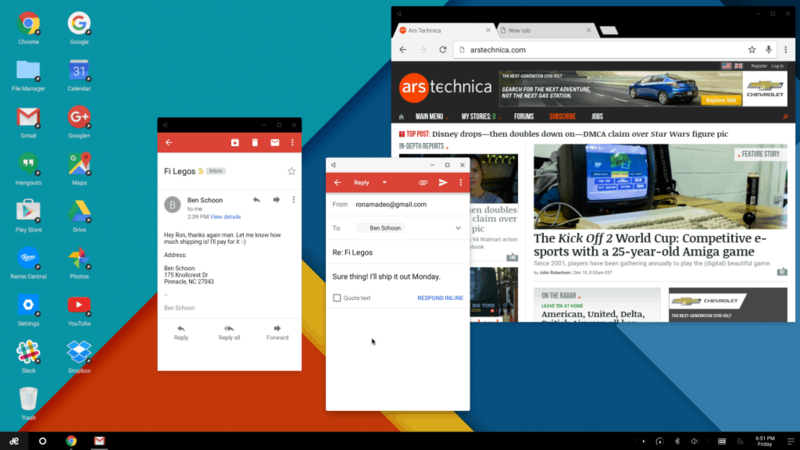 A lifetime license costs $10, but if you’re really fancying the idea of running Android apps on your PC (especially a touch screen laptop), we’d say it’s definitely worth the investment. You can download AMIDuOS here. Google was aware of the fact that people will love their mobile operating system so much and want to run apps on a PC, so they came up with a solution for this. 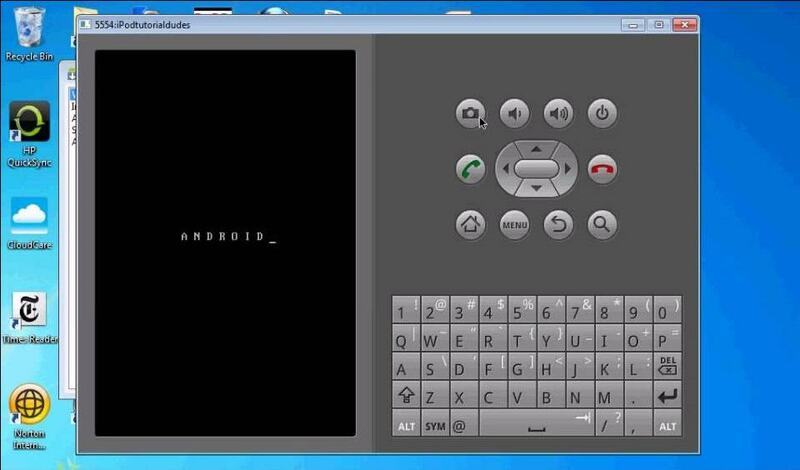 As a part of the Android SDK, the Official Android Emulator can be used to run the operating system on your PC. Even though its main purpose is to allow developers to test their new apps, the emulator can be used for everyday use as well. The bad part is that it’s not that good when it comes to games, as it’s a bit slow. It’s relatively easy to install, as everything you need to do is to download the Android SDK, open the SDK Manager program, head over Tools > Manage AVDs and press the New button, in order to create an Android Virtual Device. Then, press Start and you’re done, you can now enjoy Android on your PC. Finally, the latest entry in our top is an operating system developed by a Jide, a company founded by former Google employees. Unlike the other options presented above, Remix OS needs to be installed using an FAT32 USB 3.0 flash drive. Actually, ‘installed’ is a bit too much, since everything you need to do is to restart your PC and boot directly from the drive. You will run Android directly on your computer, with a custom interface, being able to log into your Google account and do pretty much everything you can do on a phone or a tablet running Google’s operating system. The current version of Remix OS is based on Android 5.0 Lollipop and it can be downloaded from here. And this is it. Above you have 5 methods you can use to run Android apps on Windows. Of course, if you’re the lucky owner of a laptop with a touchscreen display, the overall experience will be even better! As always, the comments section is open and we’re looking forward to hearing what you guys think about our ideas. Also, if you know any other alternatives to our methods, do let us know about them! Its operating system android device are directly on windows pc.This is a greatful article for all people.